I probably should have skipped this one on audio...but it's Mary Calmes, and the narrator was Greg Tremblay, and well...willpower, I has none. 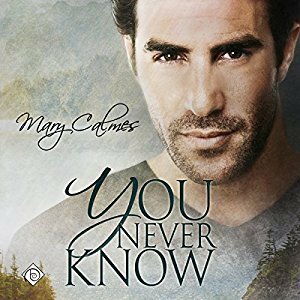 I have to admit this one isn't my favorite Mary Calmes book...not even in the top 5 but that's life, right? We can't love everything, every time, and this, it seems, is no exception. While I once again loved Greg Tremblay's narration of this story and definitely had no issues there and if I'm rating just the narration I'd probably be giving this 4 stars at the very least...nope, once again my issues were the story itself and at the end of the audio book I found that when it came down to it my feelings haven't changed I still really like Hagen. He's an easy guy to like...kind, friendly, loyal and way, way more forgiving than most people deserve...as a matter of fact if there's one thing about Hagen that bothered me it was how forgiving he was but I'm always saying that everyone deserves a second chance so I guess I really can't fault him now, can I? Unfortunately just like my feelings for Hagen...my feelings about Ash and Mitch didn't change either. Ash for me was still totally self-centered and self absorbed and in case I forgot to mention it the first time he's also manipulative as hell...nope, not liking Ash at all. Mitch was a little better for me but not a whole lot. He's suppose to be the love of Hagen's life and while I do understand that a lot of what happened really was very much related to age and circumstance. I still wanted to feel more like he regretted leaving Hagen but most of all I wanted to feel like he regretted how he did it...over the phone, ffs!!! That's just cold and somewhere in there maybe if I felt like Mitch truly realized how much he hurt Hagen...but I didn't get any of this when I read the book nor did I feel it when I listened to the audio book and I realize that other readers/listeners may feel very differently and that's cool I don't think they're wrong but neither am I this is a very subjective issue and there don't have to be rights and wrongs when it comes to this...things just are what they are. 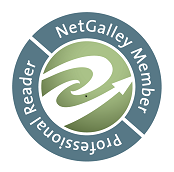 Mary Calmes + Greg Tremblay, still 'equals' a happy place for me. An audiobook of 'You Never Know' was graciously provided by the publisher in exchange for an honest review.